Feline behaviour specialist, Dr Sarah Ellis talks us through her top tips on how to show your cat how much they’re loved! As Valentine’s Day approaches, many people will be thinking about what they can do to show their loved ones just how much they care. 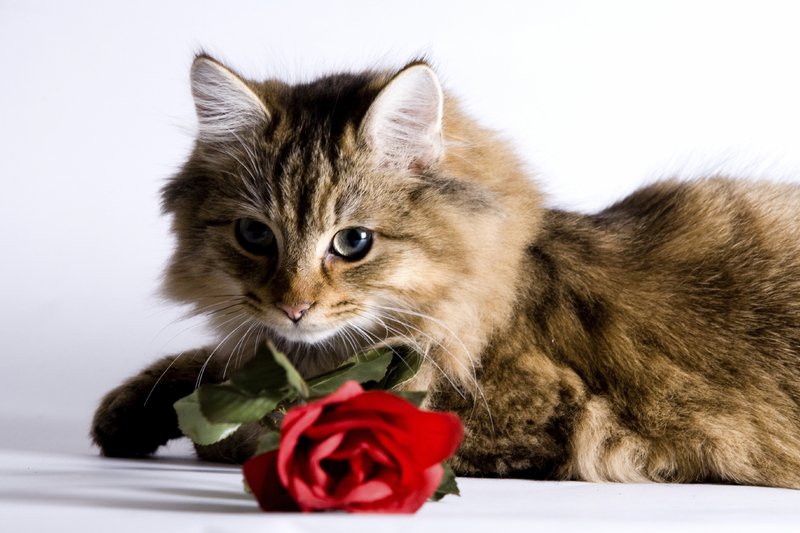 Many will also be looking to treat their furry friends - the most recent stats from Gocompare show that Brits spend an average of £54 million Valentine’s Day treats for their cats. However, just like the old saying goes ‘pets aren’t just for Christmas, they are for life’, in the spirit of our ‘I Heart My Pet’ campaign, cat owners should be looking to show their cats how much they are loved all year round, not just for one day. Our own research tells us that 90% of Brits say that owning a pet makes them happier and 11% of women would rather share a bed with their pet than their partner! Describe the perfect environment for any cat? You can tell a lot from body language, what can cat owners learn from the way their own cats act? How can owners look to improve their relationship with their cats? What would be the best way for owners to let their cats know they love them? How can they ensure that they are happy and healthy? If you could give cat owners one piece of advice, what would it be? “Think cat! Swatting up on understanding what a cat is and what behaviour is natural for the species will greatly help owners make the right decisions when it comes to the care of the cat. One common misconception is that all cats can live happily alongside other cats. Actually, cats evolved from a solitary ancestor and while domestication has introduced social flexibility within the species, many cats remain highly solitary and struggle to live contently sharing their home with another cat. For more information about the ISFM Cat Friendly Clinic Scheme, see here. For a wealth of cat advice ranging from health to behaviour, click here. We’d love to know how you show your cat that they’re loved Tweet us @iheartmypetUK or visit our Facebook page: IHeartMyPetUK and let us know!